September 4, 2018 - Monday’s triple-digit heat index wasn’t about to quiet down Cecil Roberts. 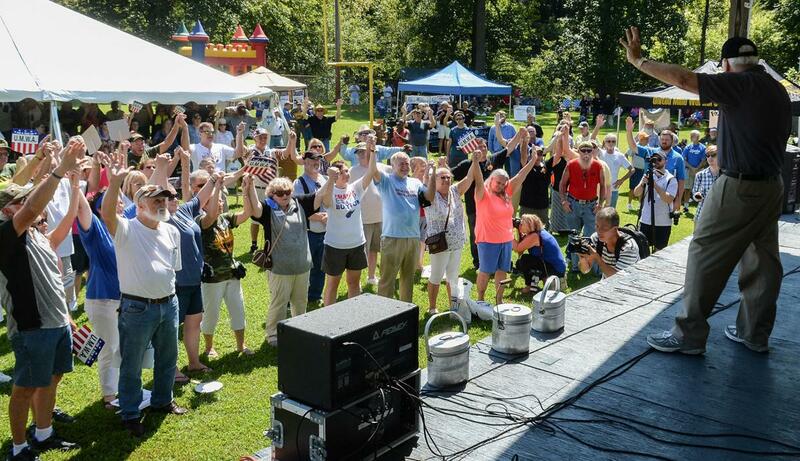 “You cannot keep electing people who don’t vote for you,” he bellowed to a West Virginia crowd gathered to celebrate Labor Day and the United Mine Workers union’s 80th annual holiday rally. 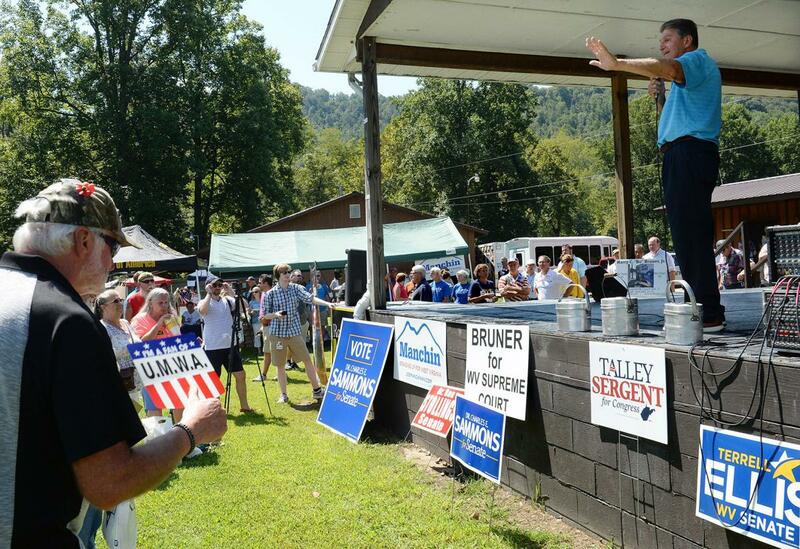 Roberts, the UMWA’s national president, spoke amid a long slate of Democratic incumbents and hopefuls running for state and federal offices. They all addressed a crowd of more than 100 people, many clad in camouflage union gear. In the thick of the statewide teacher and school service personnel strike last winter, union leaders — UMWA included — promised to reshape the November elections on their terms. Several speakers, including the strike’s unofficial hero, state Sen. Richard Ojeda, D-Logan, who now is seeking a seat in Congress, touched on what Ojeda said would be a pan-union power play. Several times, Roberts brought up the ongoing legislative fight to secure miners’ pension plans, and he credited Sen. Joe Manchin, D-W.Va., who is up for re-election, for his help. Without Manchin fighting in the Senate, Roberts said, Congress would have never passed legislation providing health care benefits for more than 22,000 union miners who lost them after working for mining companies that declared bankruptcy in 2012 and 2015. 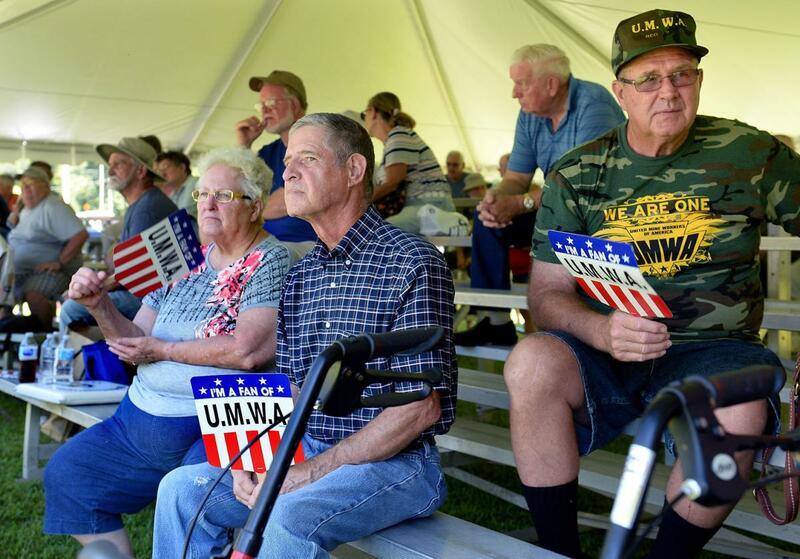 That legislation only passed when it was divorced from a separate fix to ensure the UMWA pension plan could stave off collapse. About 86,000 people are currently receiving a benefit from the pension plan, which will become insolvent by 2023, according to the UMWA. Another 29,000 miners are vested in the plan but do not yet receive benefits from it. 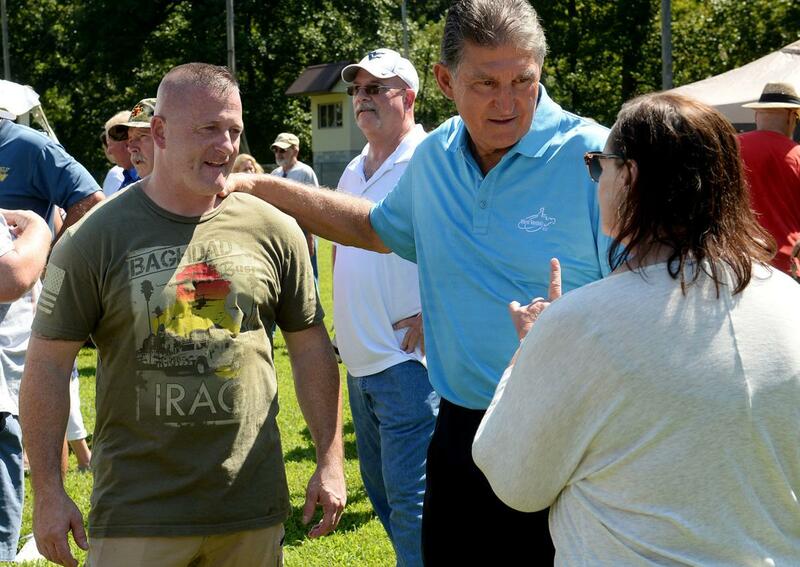 Ojeda promised to back up Manchin on that front. “With me on the House side, I will raise more noise than anything you ever seen, and with Joe Manchin on the other side with the Senate, we will get these coal miner pensions taken care of or we will rearrange the furniture on the House and Senate floor,” he said. Ojeda is facing Republican Carol Miller, also a state Delegate, for West Virginia’s Third District seat in the U.S. House of Representatives. Manchin is seeking to hold onto his seat against Republican Patrick Morrisey, West Virginia’s attorney general. Several other politicians — both in and out of district — spoke Monday. Among them were state Sen. Ron Stollings, D-Boone; Delegate Rodney Miller, D-Boone; Delegate Mike Pushkin, D-Kanawha; Democratic House of Representatives candidate Talley Sergent; a number of judicial candidates; and others.